Las Alcobas– an aesthetic marvel designed by renowned power duo Yabu Pushelberg in the fashionable Polanco district of Mexico City – warmly welcomes an international business and leisure clientele. Our upscale property provides premier in-room spa amenities and personalized services to our guests, ensuring that your stay at our Mexico City hotel is not just comfortable but artfully enthralling. Aurora, The Spa at Las Alcobas is a haven of style and luxury in the heart of Mexico’s grandest city. With its distinct mestizo culture, blending Spanish and the native Nahuatl tribal heritages, Mexico City has in recent decades become one of the great financial, economic, educational, cultural and tourist centers of the world. At Aurora Spa, we have blended the rich history and culture of Mexico with the highest levels of service and refinement. The cozy, well-appointed Spa facilities provide an exquisite space in which to experience unique treatments featuring some of Mexico’s most highly revered natural resources. The diverse cultures of Mexico have greatly influenced the identity of this magical city, blending traditions with the abundant indigenous resources that each culture has honored throughout history. Some of the most important culinary and medicinal contributions to the world have originated in Mexico. Aurora Spa pays homage to the traditions of Mexico by selecting and utilizing the finest indigenous ingredients for its signature therapies. Valued ingredients featured at Aurora Spa include plants that have important meaning to some of the most important world cultures including the Maya, Aztec, Toltec, Olmec and the contemporary Mexican peoples. Aloe Vera, cocoa, vanilla, agave, maize and citrus along with a variety of other indigenous ingredients are all prevalent in the spa and meaningful to these historical groups. Treatments extend from the spa into the guest room through the highly customized and unique bath rituals and luxurious in room bath bar. 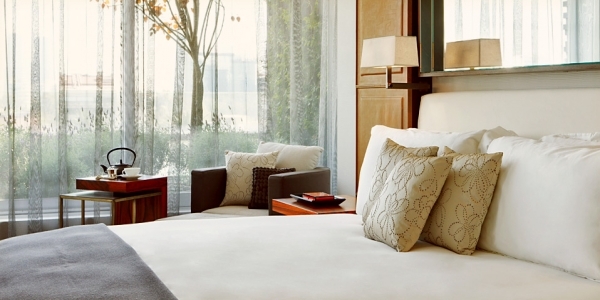 In room therapies are available for some services and provide another level of convenience for the guest. Because of its intimate size, Aurora Spa is well suited to a menu that is comprised entirely of “Signature” therapies. The high focus on personal service and small selection of therapies will allow Aurora to add points of differentiation to each of the services. Aurora Signature Massage – A customized, full body Swedish massage using custom made local cocoa butter for deep penetration and skin soothing relaxation. Obsidian Hot Stone Massage – A total delightful experience to restore your well-being. The black Mexican obsidian stone is believed to relieve depression and is considered effective for grounding and healing. Avena y Agave Scrub – Mexico’s Ancient Civilizations considered the maguey (agave) a sacred plant, they believed the liquid from this plant purified the body and soul. This superb treatment is a unique combination of agave syrup, basil oil and oatmeal which are blended to create a sweet skin smoothing exfoliant. Tepezcohuite Body Drench – A deeply therapeutic body salve benefiting from the renowned healing properties of the bark of the Mexican Skin Tree. This natural wonder of healing has been utilized by the indigenous people of Mexico for centuries to cure ailments of all types. Meringue de Ahuacatli – A super hydrating body wrap rich in vitamin E, specially designed for dry skin that fails to respond to conventional therapies. The experience begins with a relaxing massage using organic avocado oil and a homemade balm from the native Mexican fruit, a rich emollient which soothes, nourishes, heals, and smoothes skin. Even the most discerning Mexico City business traveler will delight in the luxurious settings of their guest room or private alcoba (alcove). Designed to help you relax and forget the stresses of your day, while simultaneously providing convenient amenities for the ultimate in productivity, Las Alcobas is your prime destination for business travel to Mexico City. Optimally located in Polanco, one of the main and most prestigious business districts in the city, Las Alcobas’ surrounding area serves as home to a range of businesses, from international Investment banks and law offices to management consulting firms and corporate offices for some of Mexico’s most important businesses and Embassies as well. Our small luxury hotel is equipped with a host of state of the art business amenities and services for truly convenient work travel to Mexico City. Las Alcobas provides an idyllic setting for your next special event, business meeting, or group gathering in an intimate and luxurious event space in Mexico City. Whether your event is for business or pleasure, our attentive and creative staff is poised for perfection and fully equipped to ensure your special event exhibits success. From simple to extravagant, allow the halls and furnishings of our unique Polanco hotel to host your event and delight your guests with a truly memorable and intimate event or meeting in Mexico City. Las Alcobas was designed for your event. Facilities include two private rooms that seat 10 people each, state of the art equipment, planning services and additional space in our two gourmet restaurants. In addition to offering our own property as the venue for your event, we understand that given the intimate and small size of Las Alcobas you may need a larger venue. For business meetings and corporate events, Las Alcobas provides two private rooms that seat 10 people each, equipped with AV equipment, iPod modules and large screens. Our private venue is ideal for boardroom style functions or small groups with executive committee meetings and workshops with the professional catering services by Martha Ortiz. For weddings, intimate alcoves that are appointed with luxury and total serenity help create the ideal romantic setting for your special day. At Las Alcobas, we are committed to making your once-in-a-lifetime event the picturesque celebration that you have always dreamed of. With personalized and superior service, our dedicated staff is delighted to help you plan and arrange the significant details of your perfect destination wedding experience. Guests find relaxation in the intimate setting designed for Las Alcobas by Yabu Pushelberg, a leading internationally renowned North American interior design firm. In addition to designing the exterior of the fully remodeled and modernized 1950s prior apartments residence, Yabu Pushelberg has created a modern interior that is infused with warmth, texture and an exuberant sense of location in the Polanco district of Mexico City. When you step inside your alcove or “alcoba”, you enter an oasis of calm that nurtures your senses and reinvigorates your physical and mental being for a distinct Mexico City lodging experience. We offer 35 luxurious guest rooms in Mexico City, including four deluxe suites and penthouses, each one with a sophisticated environment emulating the comfortable rhythms and pleasant energies of a home. Our carefully selected features will pamper you while you recharge and rejuvenate. Each intimate space meshes with the Las Alcobas mantra of creating a calming, “home-away-from home” luxury hospitality experience. Fashionably designed by Yabu Pushelberg, the rooms and suites at Las Alcobas are dressed with plush amenities and exceptional comfort for a rejuvenating hotel experience in Mexico City. 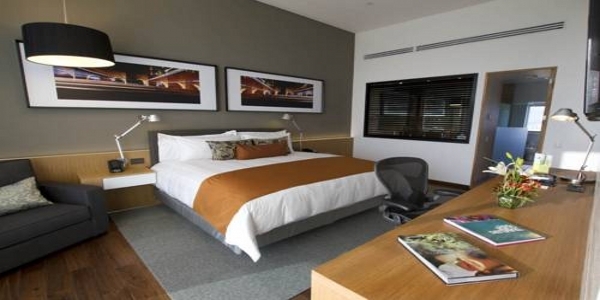 All guest rooms have been designed in a stylish contemporary genre typical of Yabu Pushelberg’s expertise. The Alcobas concept commands intimate spaces to magnify the comforts of home, setting apart our unique property from other hotels in Mexico’s stunning capital city. From custom-made rosewood furniture and all-marble bathrooms complete with opulent spa amenities to deluxe bedding and state-of-the-art entertainment systems, our Mexico City rooms rooms certainly grant guests with a rewarding hotel experience in the Polanco district. Each of these Mexico City room features a king bed and generous work area, chair and coffee table, and an all-marble bathroom with a separate glass-enclosed rain shower. The corner Room has a very pleasant layout offering a beautiful Panorama of Polanco district which you will be able to contemplate from your bed. Our elegantly appointed Deluxe Double Rooms overlook a private courtyard and feature two queen beds, a separate sitting area and an all-marble bathroom with a spa soaking tub and a separate rain shower for exceptional accommodations in Mexico City. Our Deluxe & Executive Rooms were conceived with every need of the 21st century traveler in mind, featuring a king bed and a separate sitting area, as well as a walk-in closet with a design-savvy three-way mirror. 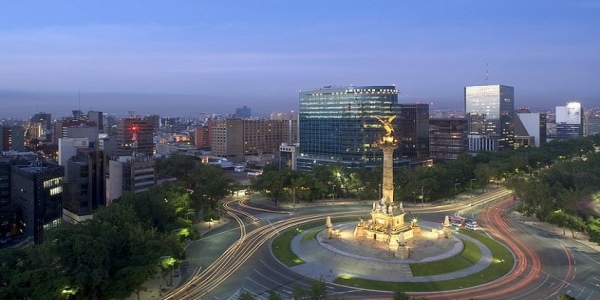 Our Deluxe & Executive Rooms in Mexico City boasts expansive views of the charming Polanco district and beyond. Sleep in style and embrace optimum service in the Las Alcobas Suites of Mexico City, which offer four different options for superior pampering, comfort, and personalized service. Designed by Yabu Pushelberg, custom furnishings adorn the interiors of our Mexico City suites while exceptional features, such as wrap-around terraces, local artwork, hand-knotted rugs, and elegant fireplaces add memorable motifs to each and every alcove. Experience an unmatched Mexico City hotel experience and savor the notion of refinement in one of our suites listed below. Las Alcobas features a cozy suite in Mexico City, each consisting of one spacious bedroom with a separate living room. Amenities include a 46” LCD Aquos TV by Sharp with its own home theatre system by Bose; marbled spa bathrooms with rain showers and detoxifying steam; and an elegantly furnished outdoor terrace that provides expansive views of Mexico City. Las Alcobas Suite features a separate living room. Amenities include a 46” LCD Aquos TV by Sharp with its own home theatre system by Bose; dining room that seats six people; a spa style marbled bathroom with windows and an elegant powder room. Inspiring local artwork adorns the walls of the suite while unobstructed vistas of the chic streets of Polanco accentuate this suite’s distinguished corner location. 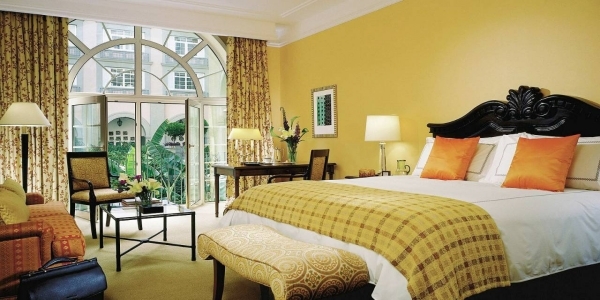 This suite can be connected to a deluxe room and will become a spacious two-bedroom suite. The Masaryk Suite at Las Alcobas gracefully combines a space for entertaining and relaxing. The master bedroom includes a full marble spa bathroom, complete with rain showers and steam. An adjacent separate living room provides more space, and features a 46” LCD Aquos TV by Sharp with its own home theatre system by Bose as well as a separate powder room. The suite is surrounded by a large terrace that includes a garden to create a sense of tranquility and privacy. The Pasaje Penthouse gracefully combines a luxurious space for entertaining and relaxing. The master bedroom overlooks the terrace with a masterful landscape and includes a large full marble spa bathroom with two vanities, complete with rain shower and steam, signature bathtub and a walking closet. An adjacent separate living room provides more space with dining room that seats six people. For your convenience, the suite is equipped with a functional butler kitchen. It features a two 46” LCD Aquos TV by Sharp with their own home theatre system by Bose as well as a second complete bathroom. An indoor/outdoor fire-place will provide a romantic and cozy atmosphere. The suite is surrounded by a large terrace that includes a garden to create a sense of tranquility and privacy with magnificent views of the neighborhood. Experience two upscale gourmet restaurants developed by the talented Chef Marta Ortiz, of the highly acclaimed “Aguila y sol” in Mexico City. Barroco, a 50-seat high end Mexican restaurant that will offer fine dining and sophistication and the perfect balance between the taste and freshest ingredients, flavors, presentation and superb service. Dulce Patria an 80-seat vibrant high energy and vibrant redefined “cantina” with the best Mexican food comprised by traditional plates reinterpreted in a modern context in a lively, stylish and urban environment with lush gardens that take indoors to a serene outdoors experience.